3rd Party Disclosure - This statement discloses what information www.u-boutique.com plans on disclosing to 3rd parties. 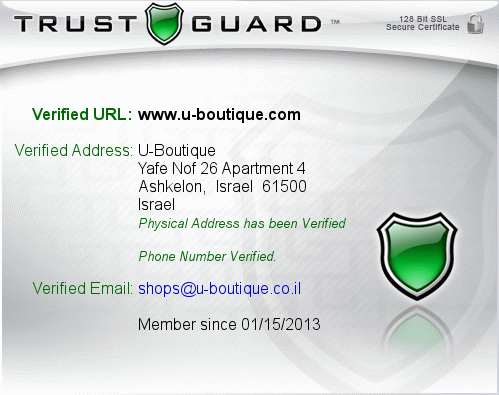 Private Information Security - This statement informs you as to what type of security measures www.u-boutique.com has in place to protect you, and what they do with your private information (IE. credit cards, social security numbers, etc. ), after an order is placed. Email Usage - This statement refers to what type of email notifications www.u-boutique.com may send you after an order is placed.